The opposition to the rent stabilization ordinance (Measure F) is being paid for by a statewide political action committee (PAC) located in Sacramento. This statewide PAC paid $12,178.85 to gather signatures for the referendum petition in St. Helena within weeks of the City Council passing the ordinance. This wasn’t a local volunteer effort to get the referendum petition on the ballot for a special election. Some people opposing Measure F would like you to believe they received a grant to gather signatures. There was no grant. What happened was a direct payment by the statewide PAC to gather signatures to qualify the referendum petition. This PAC spent more than $24 per signature trying to overturn a municipal ordinance designed to protect senior housing in St. Helena. That’s a lot more than has been spent elsewhere to gather signatures. In 2016 the average cost-per-required signature statewide was $6.20. The highest cost-per-required signature that year was $11.31 for a single measure. This was hardly a local volunteer effort and the outside PAC was willing to spend a lot of money to get it on the ballot. Who is the Western Manufactured Housing Communities Association? Well, they’re an organization of mobile home park owners looking to improve the business climate for themselves. That Association is located in Sacramento and not St. Helena. They have a statewide PAC, which has the stated purpose of protecting their own property rights. They aren’t at all interested in protecting the interests or rights of the seniors living in our St. Helena. So what does this all mean? It means an outside statewide PAC is actively working to hijack our local election and governmental processes. Working on behalf of the interests of the mobile home park owner, last month the Association created another PAC focused specifically on overturning our rent stabilization ordinance, dropping $49,000 into the new PAC and then having the audacity to call it “Save Our St.Helena, No on F”. Apparently, the PAC is also paying Tom Vence’s legal expenses while he sues the city and while he works for the owner of the mobile home park. We believe they’re willing to spend a lot more money to take over our election. As of the last financial reports filed with the state, this outside Association still has another $339,518.62 in cash available to them to spend. The problem here, of course, is it’s more Sacramento money trying to tell St. Helena voters what to do. 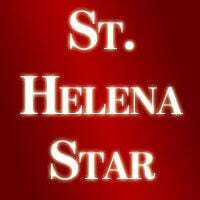 To make things worse, this newly formed PAC failed to file the required documents with the City of St. Helena, as if St. Helena really was an afterthought and not worth their effort. But this isn’t the first time the Western Manufactured Housing Communities Association stepped in to try to stop local communities from trying to protect their seniors with rent stabilization ordinances. They’ve tried to crush these efforts in other towns, particularly those that are smaller and in more rural communities. Perhaps they think we aren’t sophisticated enough to figure out what they’re doing. Their campaign strategy is built on misinformation and deceit. “No on F” refused to participate in a League of Women Voters forum on Measure F, killing the opportunity for St. Helena voters to question both sides in a neutral forum. Their ballot arguments against Measure F are misleading and, in some instances, absolutely false. Anyone who actually reads the ordinance would know their statement saying “residents cannot opt in or out,” is untrue when the ordinance itself requires the park owner to offer such an option. There’s no doubt who’s paying to overturn St. Helena’s rent stabilization ordinance and it isn’t the voters of St. Helena. “No on F” is being paid for and run by a Sacramento political action committee, which has the stated and sole purpose of protecting the rights of the mobile home park owner. That hardly seems fair. Vote YES on Measure F!